It wasn’t too long ago when laptops were used for only business work and for its portability and being able to do your work on the go. Gaming laptops were soon introduced and used to have a reputation for being too large and hard to carry around. With their extremely powerful processors and graphic cards, batteries become more of a necessary backup power supply. As time passed and tech evolved, Nvidia introduced their Max-Q designs for its desktop-class GPUs, and manufacturers were able to cram more powerful hardware into thinner designs. 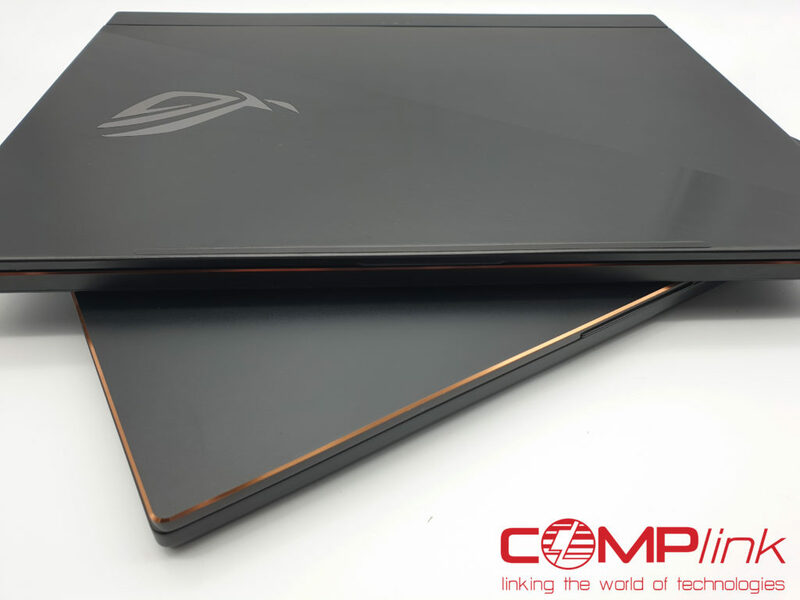 Both the MSI GS65 Stealth Thin and ROG Zephyrus S are extremely designed to be portable and thin devices. 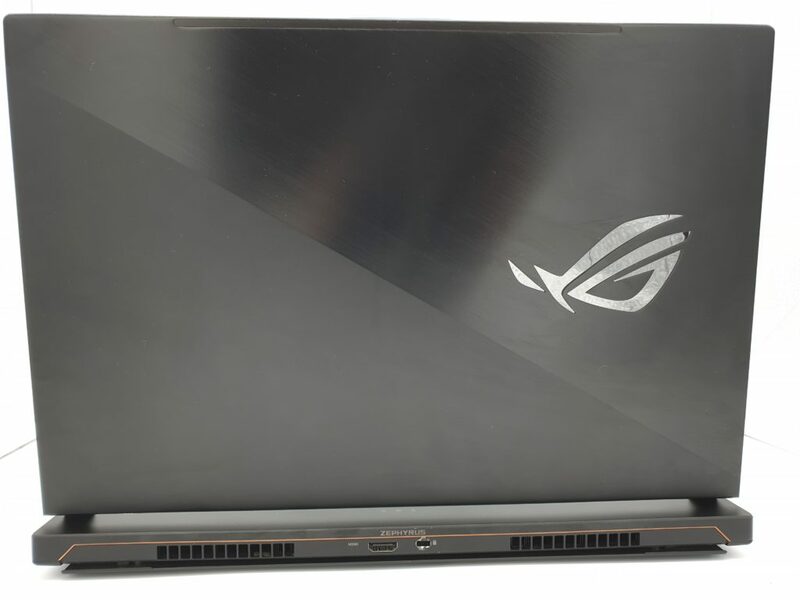 The MSI GS65 Stealth Thin is 17.9mm thin while the ROG Zephyrus S was designed to be the world’s thinnest gaming laptop at 14.9mm. 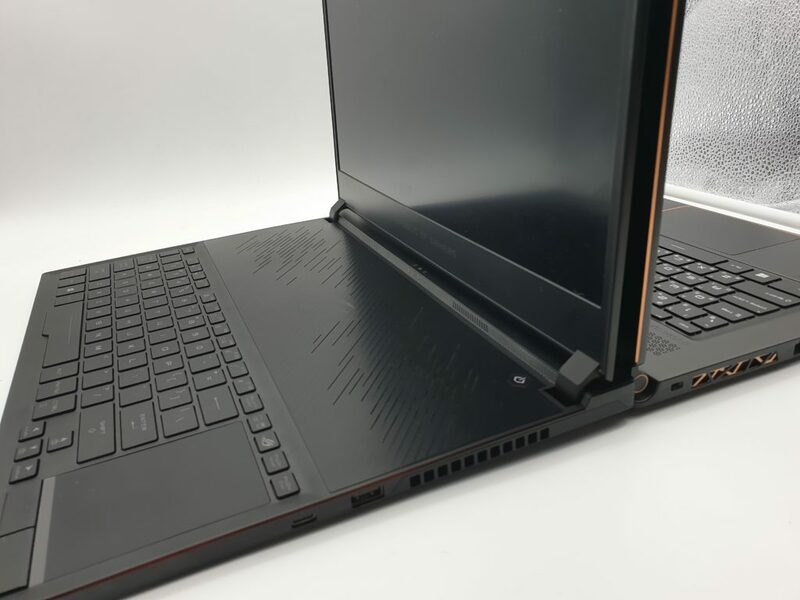 Despite the ROG Zephyrus being thinner, the MSI GS65 Stealth Thin had a more compact chassis. Looking at the back where the logo stands, MSI was able to implement a more professional and subtle design whereas ASUS has always been designed for gamers and has that aggressive design featuring their exhaust at the rear. MSI has definitely come up with a more distinguashable design compared to their previous releases. 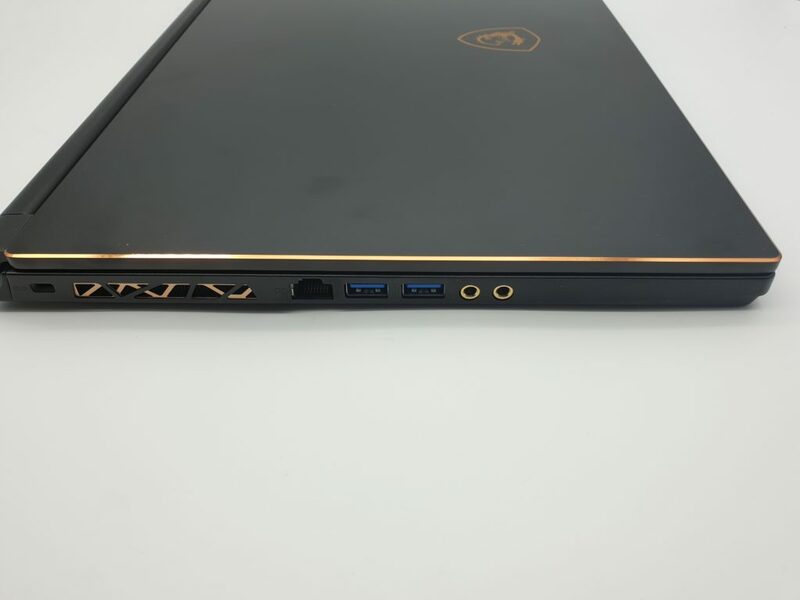 In terms of weight, it is hardly noticeable but since the MSI GS65 has a smaller and more compact body, it was definitely easier to carry around. With the battle of RGB and the additional eye-candy it presents, the MSI GS65 has a very traditional Steel Series set, while the ASUS Zephyrus S has followed its predecessors in having that forward layout, which was a sore on the arms to use. Although, we loved the implementation of the Numpad on their trackpad. The RGB lighting of MSI’s SteelSeries keyboard outshines the ASUS Zephyrus S.
We got in touch with ASUS, and they said that the keyboard was brought down for the laptop to have better cooling and avoid throttling. We feel as though this design was not very well thought but should be something we could used to overtime. 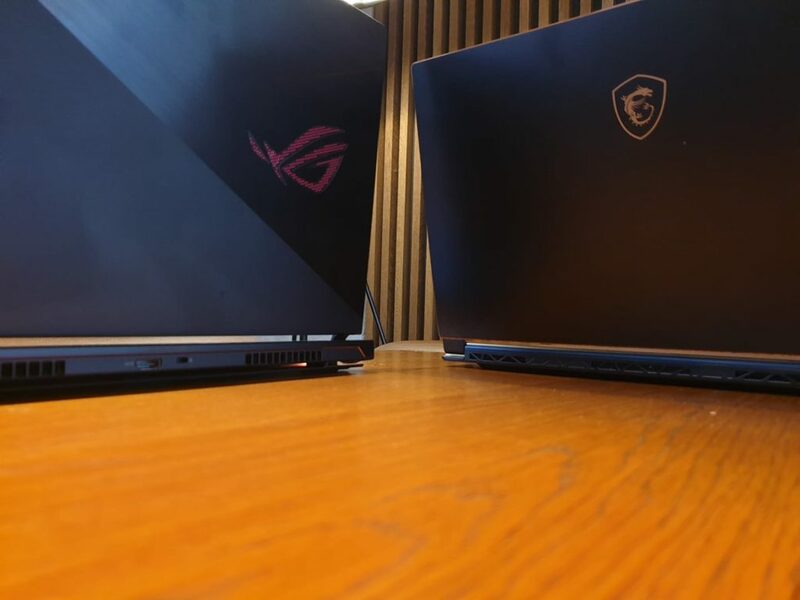 Both the MSI GS65 Stealth Thin and ROG Zephyrus S are probably the thinnest laptops in the market with the most powerful specifications. The question we really have to ask is, how much has been sacrificed to put these two together. 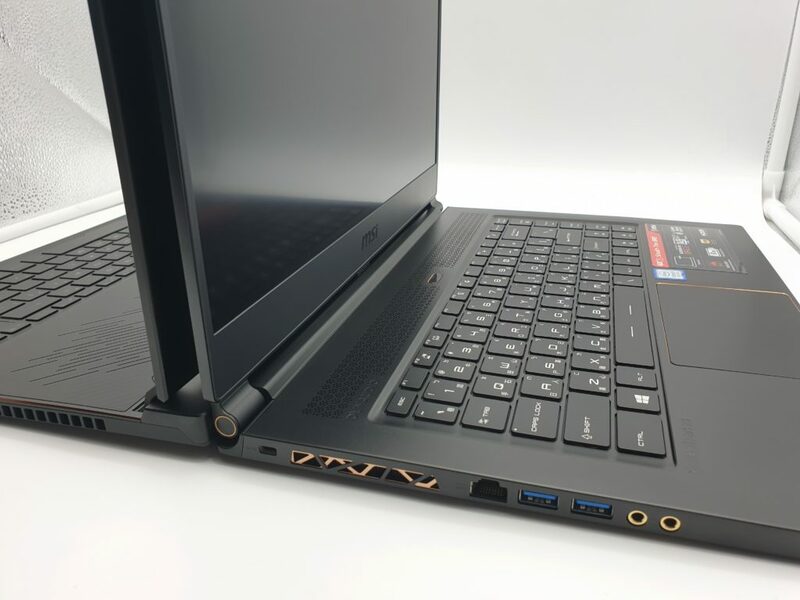 To start, the MSI GS65 Stealth Thin beats the ROG Zephyrus S in two parts – the RJ45 LAN port, as well the separate microphone and headphone ports. These are two important ports we feel are very useful especially if you’re a gamer. There are times when wifi isn’t the best way to go around gaming. The most secure way to get that bandwidth would still be through a LAN cable. 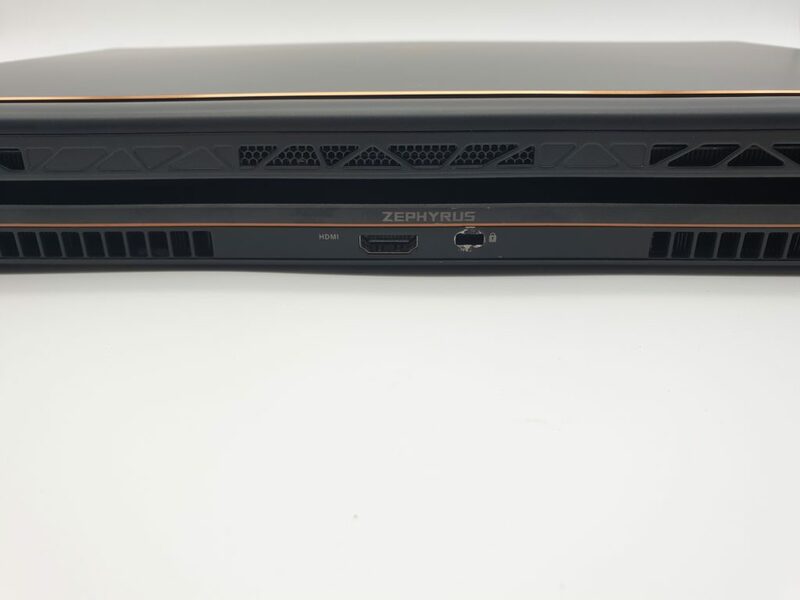 Although, the ROG Zephyrus S does have that USB 3.1 Gen 2 which allows charging your laptop or having an extended display via USB-Type C as an advantage while the GS65 Stealth Thin has more USB 3.1 Gen 1 Type-A’s overall. 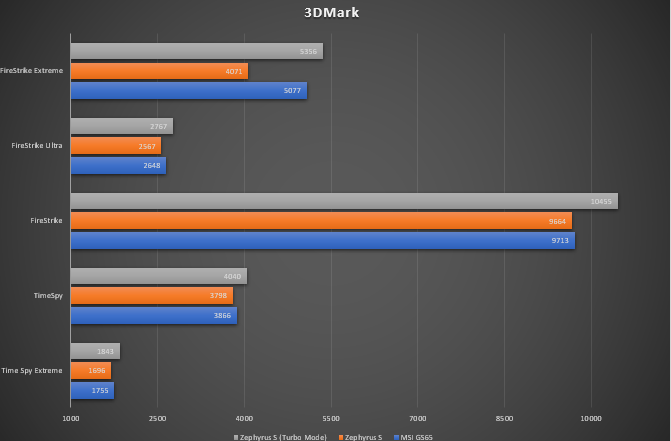 MSI Stealth Thin GS65 has an edge over the ASUS ROG Zephyrus S (see 3DMark Benchmarks). 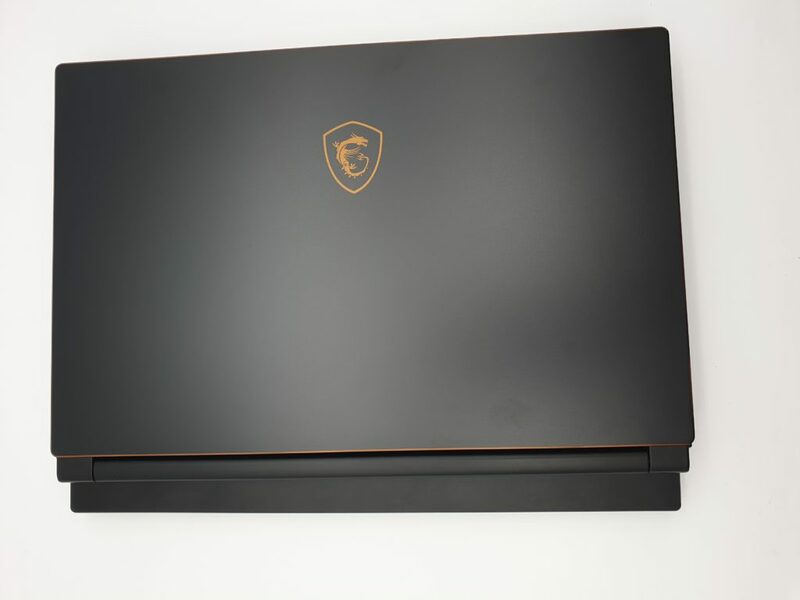 Although, one advantage that the Zephyrus S has is that it can be set to “Turbo” Performance, showing a clear advantage over the MSI Stealth Thin GS65. 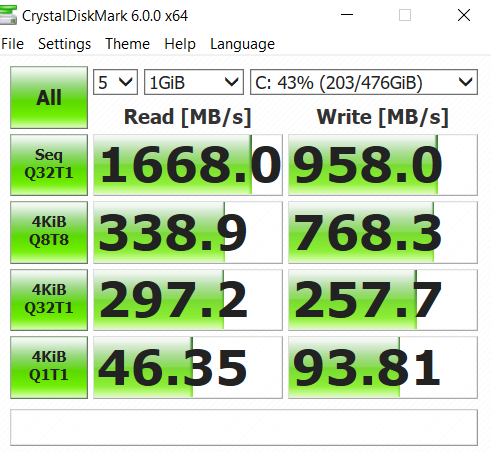 Considering read-and-write speeds, the MSI Stealth Thin GS65 has an advantage over the ASUS ROG Zepyhrus S thanks to the Samsung PM961. 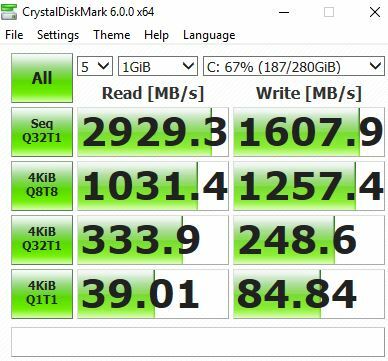 We also noticed throttling on both the MSI Stealth Thin GS65 and ASUS ROG Zephyrus S. There are two types of throttling – Power Limit Throttling and Thermal Throttling. While the ASUS ROG Zephyrus S experiences Power Limit Throttling, it might be a good thing. This means that the manufacturers set a power limit on their notebooks. On the other hand, the MSI Stealth Thin GS65 experienced Thermal Throttling which as you would see on the image above, lowers the CPU’s speed due to heat. There are several ways to resolve thermal throttling like changing thermal paste or under-volting. 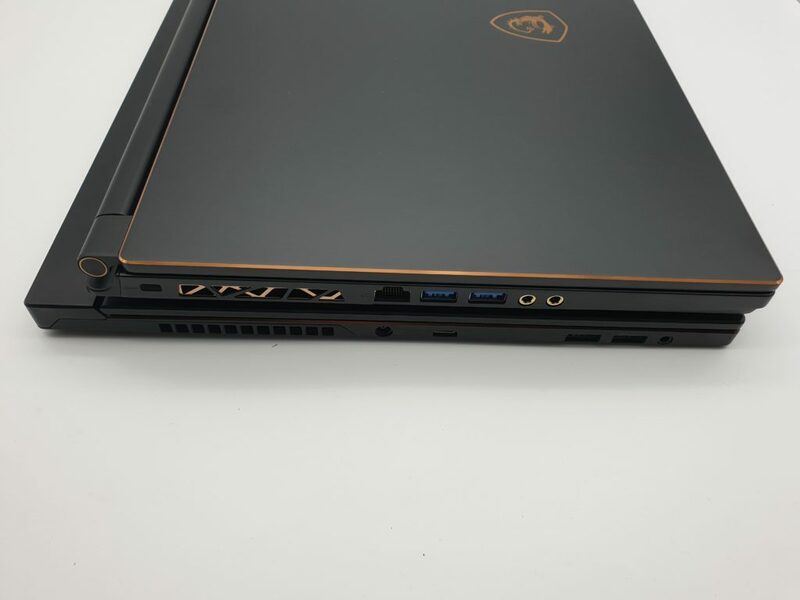 In this portion, what we liked the best about the MSI Stealth Thin GS65 is that despite the thermal throttle, it remained cool while the ASUS ROG Zephyrus S became too hot to even touch. The coolness might be a result of the thermal throttle though. Both laptops are readily available at Complink Stores at SM North Edsa, Megamall, Robinsons Ermita, SM Mall of Asia. Complink is one of the stores with a widely available range of products. Check out their branches and experience the best gaming laptops. Two of the biggest brands have been always going neck-to-neck in terms of specifications and pricing. 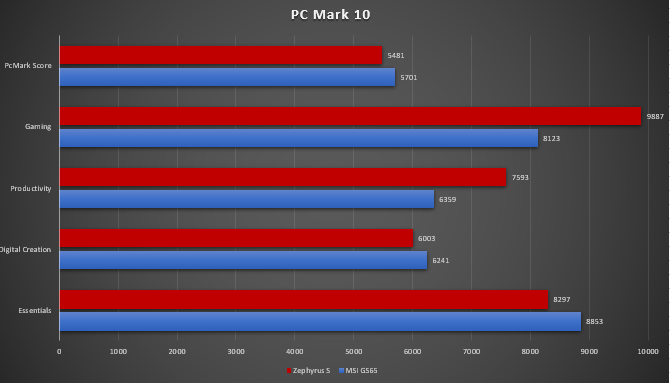 In terms of performance, we clearly see the advantage of the MSI Stealth Thin GS65 against the ASUS ROG Zephyrus S without the Turbo Performance. We would also commend MSI for the minimalistic design they have been able to provide such a heavy performance laptop. 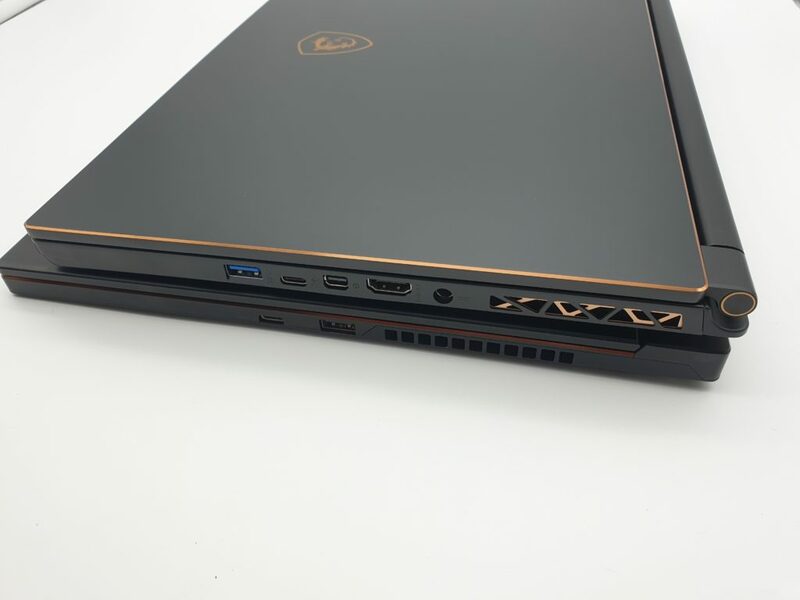 The only things that put us off on the MSI Stealth Thin GS65 are the RGB per Key function and the Thermal Throttles. Both of which are easily fixed by switching off the RGB fuction and by changing thermal pastes. While the ASUS ROG Zephyrus S was built to be the type that would be easy to carry around, we found the MSI GS65 more compact. While ASUS ROG Zephyrus S may have the edge in performance under the Turbo Mode, but the noise levels were also what would be distracting and would probably be controlled better with a SF-17 from Cooler Master.